Comments: A good grower that gives color in the summer and early fall garden. 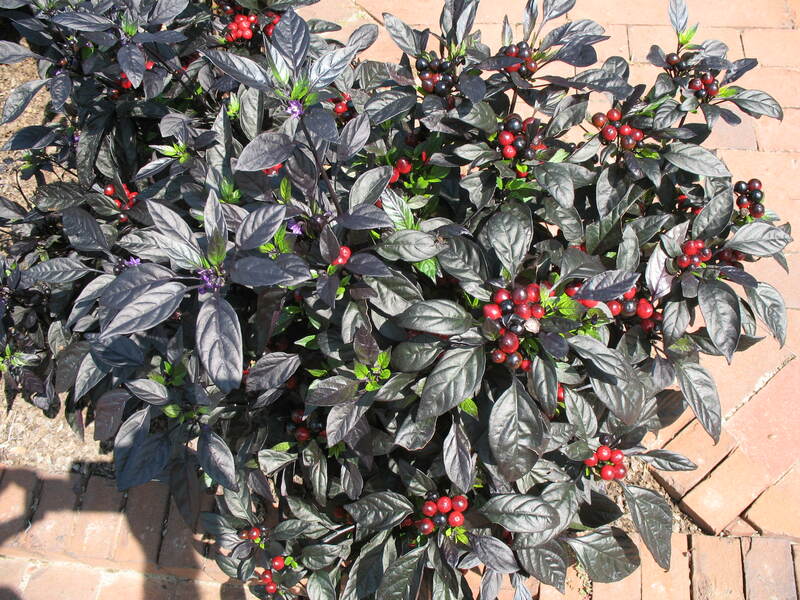 Features include both the dark red fruit and the dark purple, nearly black foliage. Easy to grow from seeds. Select a sunny site with well drained soils for ornamental peppers.